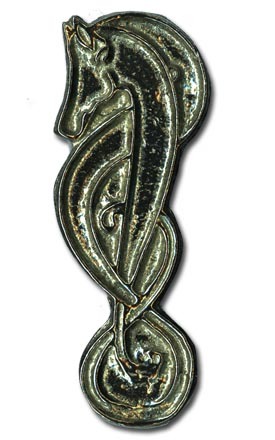 This kilt pin, patterned after an early Celtic design, represents a wild horse. Pewter. Measures 3 1/4 tall by 1 inch wide.